Filled with the driven emotional and political textures that characterize his music throughout his career, Sideshow marked Joel’s return to the studio after a long hiatus following the breakup of RJFOX and Oasis. Calling on Richard and Sherry to collaborate on vocals, you can hear the three of them explode in a vocal tapestry celebrating the joy and magic of singing together again. 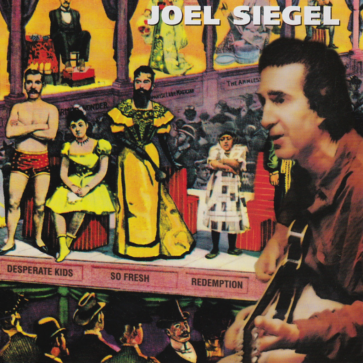 Sideshow also marked the beginning of Joel’s relationship with the “pocket band”, a group of superb musicians whom he would play with over the next 20+ years. These incredible players whose CV’S would fill an entire page include Zeke Zirngeibel, lead guitar Cliff Hugo, bass, Rick Schlosser drums, Terry Lesperance drums and percussion.